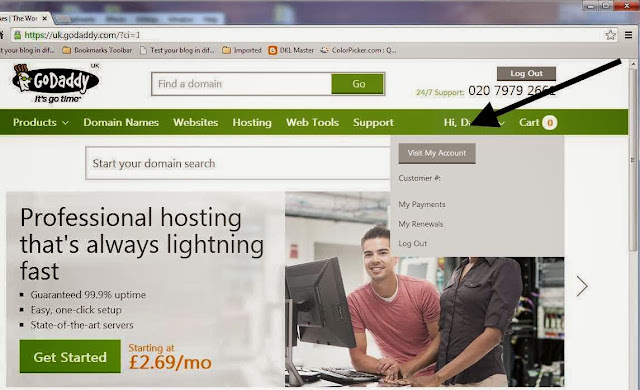 Choosing a domain names in a sentence means - short, easy to spell, memorable, descriptive, just letters and have a .Com extension. Unfortunately most of short names are now not available. (More on these points in a future post..). 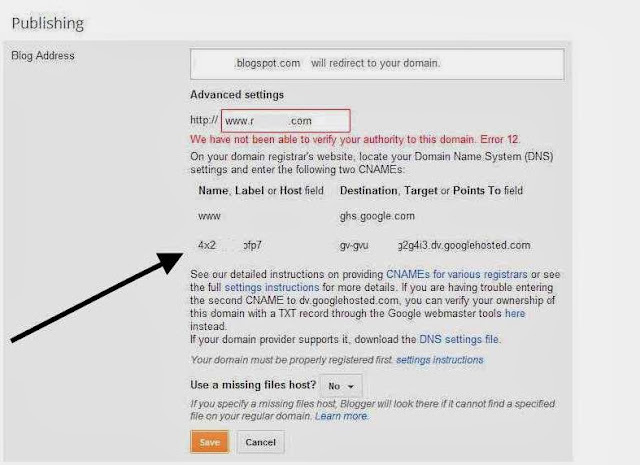 The purpose of domain names incidentally is to represent in Human readable terms the underlying internet protocols e.g 216.239.32.21 which is by the way an IP for Blogger you will see later. 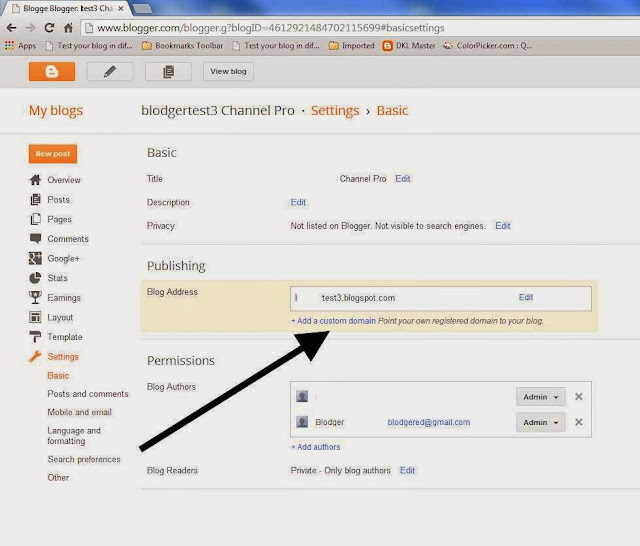 The purpose of this post is however to describe how Blogger users can put any other web address in front of their blogspot address. So instead of www.blodger.blogspot.co.uk you may prefer Blodger.com or www.blodger.com. To get another web address or domain you obviously need to think of one, and then normally pay for one from an hosting service/registrar such a GoDaddy. See registrar list here or here for others. The third level domain name is used to describe essentially the types , i.e www for world wide web, FTP or mail . It is not needed. 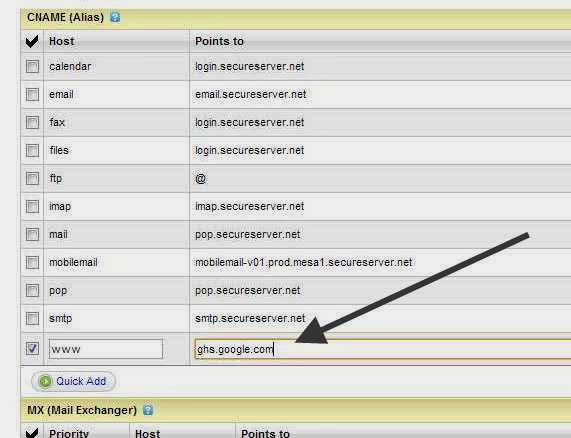 A CNAME is an entry within the domain system which will allow you to point the domain at a particular site. So these are the steps required to get your Blogger site (or any other) fronted by another domain name using GoDaddy. 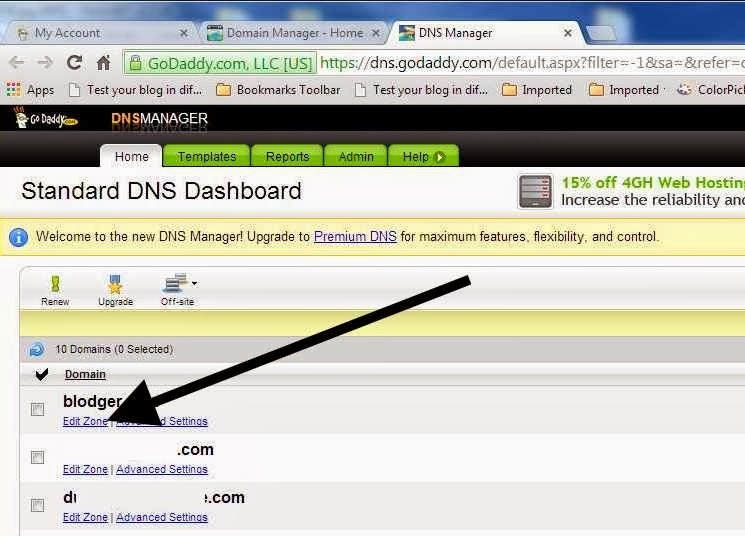 GoDaddy have now got a special tool to allow you to automatically configure your DNS . Use this Tool Here. To do to it manually follow the following instructions. 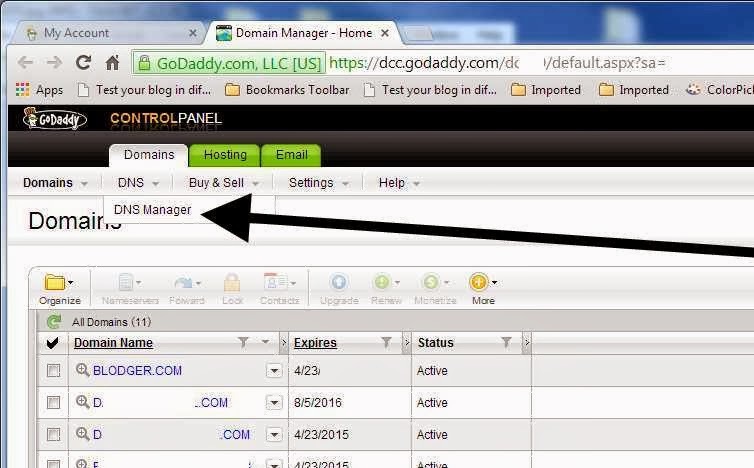 Ensure you have valid domain set up via a registrar such as GoDaddy. If at this stage you press on the Save button Blogger will present a message "We have not been able to verify your authority to this domain. 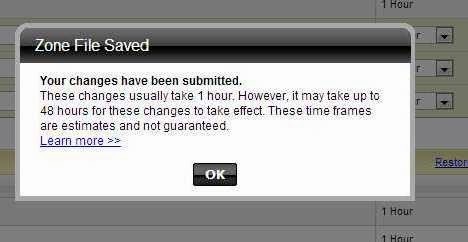 Error 12. Leave page open and/or take a note or copy to notepad. On the Domains tab click on the DNS menu item to bring up the DNS manager link and click that. The first entries we need to change for Blogger are the A Host records. Here we will add 4 I.P. 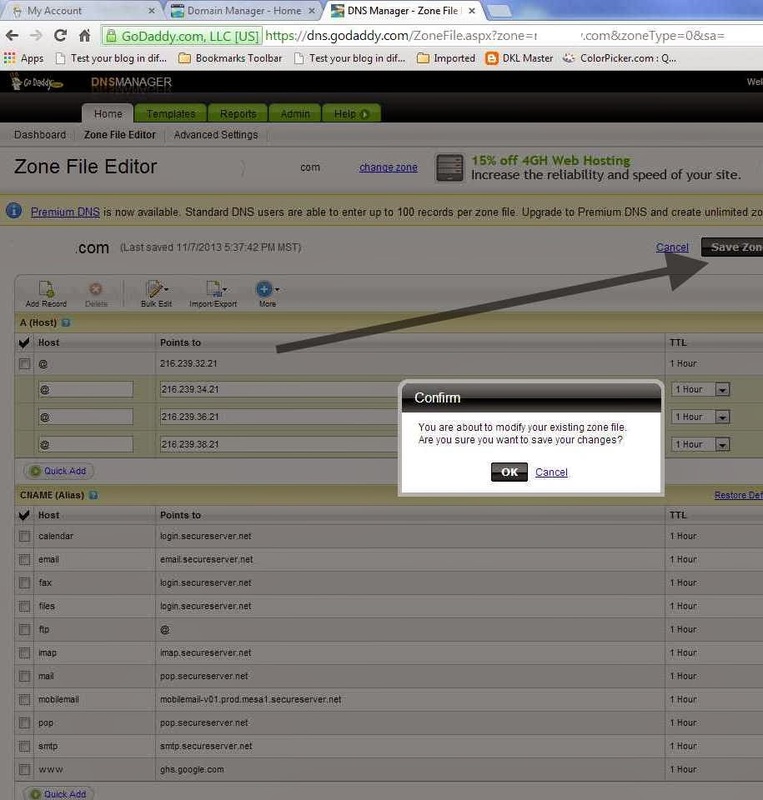 address's by simply clicking on the Quick Add button. This brings up a line with two text boxes in. 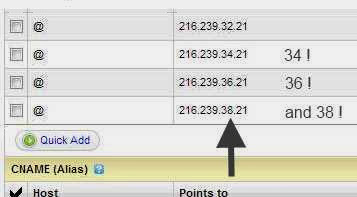 In the first we will enter the @ symbol and in the second the IP address 216.239.32.21. 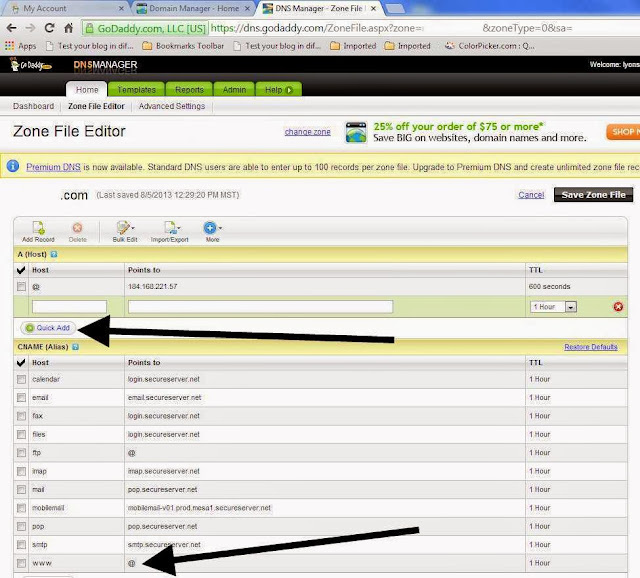 After this click the Quick Add button again and do the same thing except change the IP address to 216.239.34.21. (Note is it 34 not 32). The we add two more IP's 216.239.36.21. and 216.239.38.21. Next we need to insert the CNAME record. As above the expectation is that a WWW entry will already exist but will probably have an @ symbol instead of a domain. If it does then we need to edit the record by clicking on the pencil icon next to the text box. When the text box is available to enter text, then enter ghs.google.com. 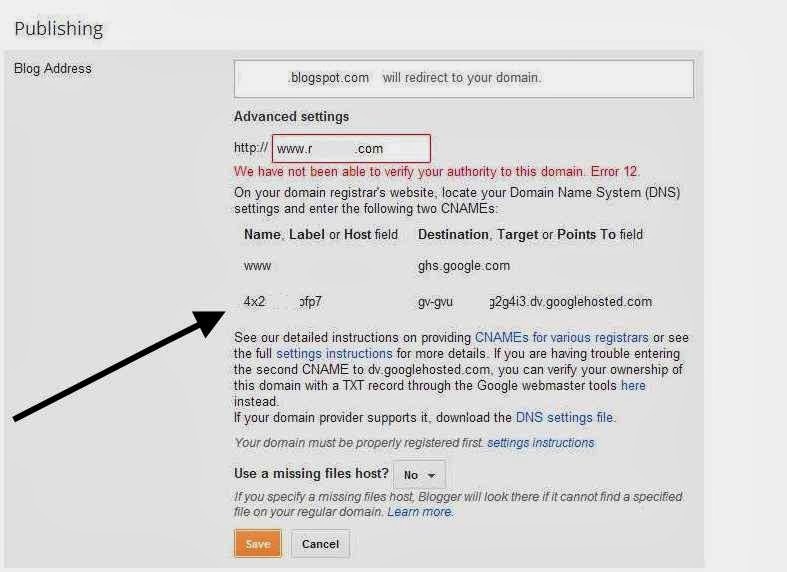 If the WWW record does not exist then use Quick Add to add WWW in the HOST text box, and ghs.google.com in the points to box. Leave the default TTL setting. Note that there may be time gap between the operations. 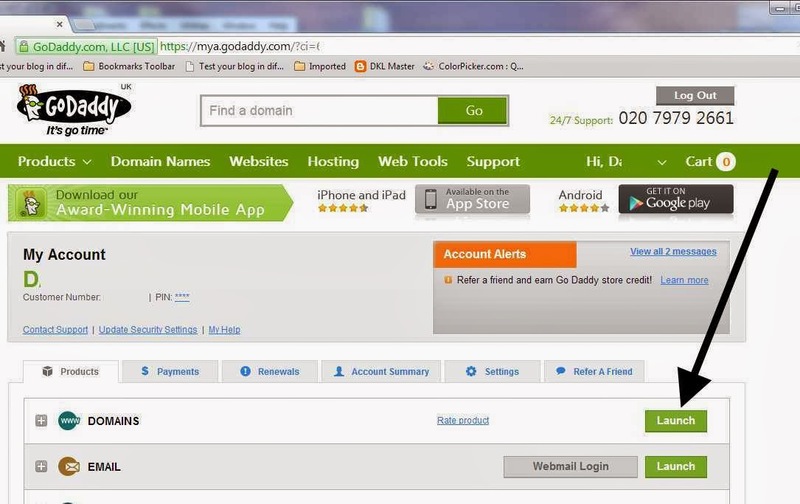 Next go into any browser and type in your new domain name. 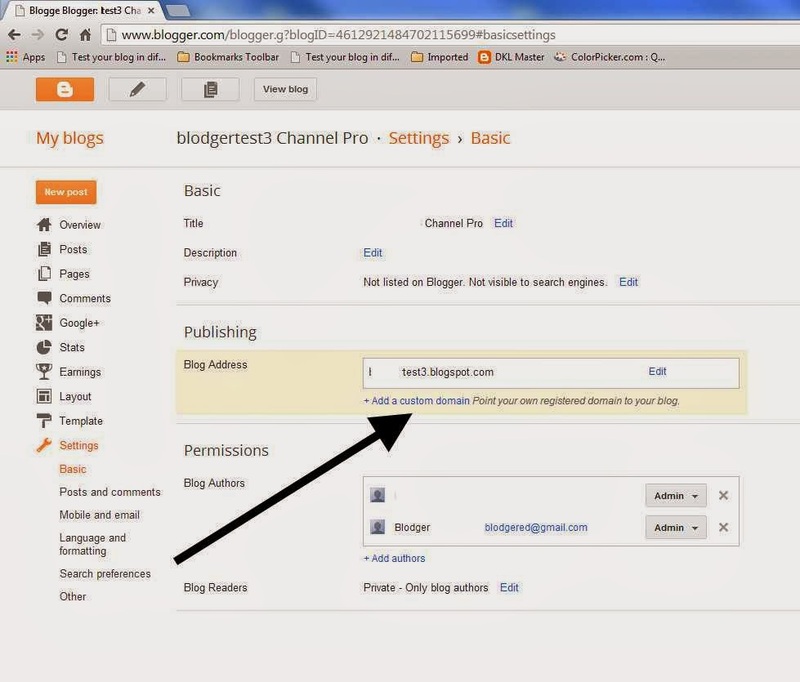 It should (eventually) redirect straight to your Blogger blog.